A panel of fiber broadband experts speaking at CES 2016 in Las Vegas this week said the Internet of Things (IoT) will not only benefit from fiber-optic broadband, it will require it. Katie Espeseth, vice president of new products for EPB – the Electronic Power Board in Chattanooga, Tennessee, responsible for building and maintaining one of the country's most famous fiber-optic networks – explained that the country's first gigabit-speed municipal broadband network was built to support an IoT application. Tasked with maintaining power supply to the city, the EPB sought to deploy a series of supercomputers that would constantly monitor the power grid throughout the city. This called for an always-on, gigabit-speed internet service. Today, the organization has 1,400 devices operating in the field, diagnosing problems on the power grid and re-routing power to resolve outages. Espeseth said the system has reduced power outage duration time by 55% to 60% since it was deployed. This would not be possible without a 100% fiber-optic support network, she said. An added benefit was the ability to offer gigabit-speed broadband to homes and businesses in Chattanooga, which has driven revenue for the city and earned it the moniker "Gig City." Lev Gonick, CEO and co-founder of OneCommunity, pointed to a common theme at CES this year – the importance of the network to handle 4K high-definition video. While much of the focus at the show is on supporting 4K for entertainment purposes, Gonick highlighted a medical application in use among neurosurgeons in Cleveland, where OneCommunity helped deploy a fiber-optic network capable of 100 Gbps data transfer speeds. Gonick pointed to the deployment of Surgical Theater at the Cleveland facility, which uses high-definition cameras to provide video assistance during operations. This is the kind of application that needs to stream ultra-high-definition video and cannot fall victim to video buffering, Gonick said. "Anything hanging on the network is IoT," Gonick said. "These are not switches or optical gear. These are gaming environments that are being used for medical activity." Gonick also highlighted an added benefit of the fiber-optic networks his company helped deploy in Ohio. Using the high-def cameras, doctors at the healthcare facility video-conferenced with high school students in the area, showing videos and answering their questions in real-time. 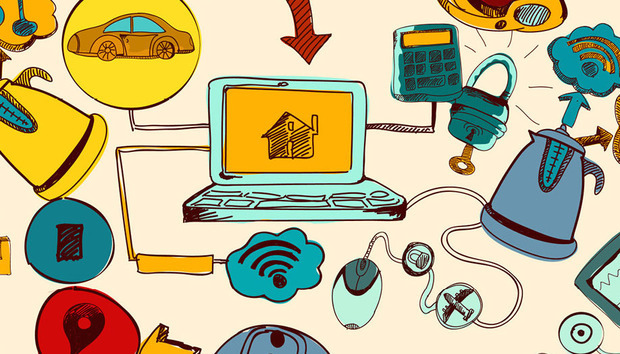 Consumer IoT applications, particularly the smart home, may also require fiber broadband. Kevin Morgan, director of cloud and services marketing at ADTRAN, explained how difficult it is to estimate the impact of consumer IoT on the network, especially this early in the market. Another panelist, Kyle Hollifield, senior vice president at Magellan Advisors, suggested future-proofing residential networks with fiber-optics to prepare for the added traffic. In fact, network capacity may be critical to the success of the smart home. Hollifield pointed out that if consumers find that their smart home products don't work because their network can't handle the traffic, they'll abandon the devices before trying to re-configure their own networks. These predictions may seem speculative, but considering that Cisco predicts consumers will use four-times the amount of data than businesses by 2019 and Gartner says the typical family home could have as many as 500 networked devices by 2022, high-capacity networks are more important to consumers than ever before.